In 2007, Vince McMahon and Donald Trump had a feud on RAW known as the Battle of Billionaires. Strangely enough, Trump was the good guy in the storyline and Vince ended up getting his head shaved after his representative Umaga lost to Trump’s representative Bobby Lashley at Wrestlemania 23. 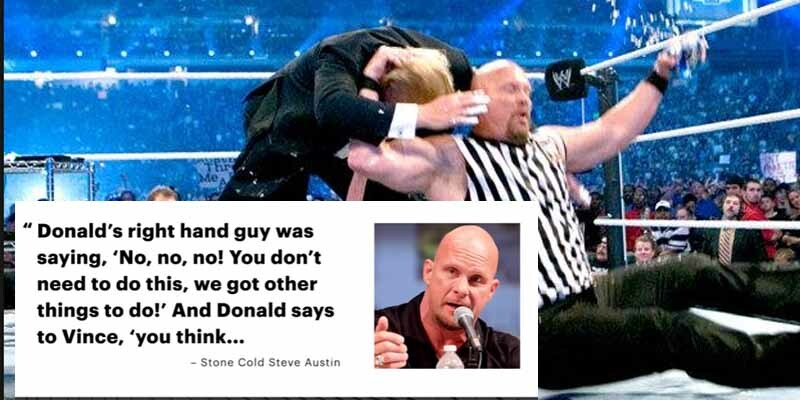 After celebrating, Trump got hit with a Stunner by guest ref Stone Cold Steve Austin, according to whom Trump agreed to take it despite his people’s advice.